No me gusta la forma en que ha llegado al poder en España el líder del PSOE, Pedro Sánchez, no me gusta su actuación en los principales temas de España, no me gustan sus socios, no me gusta que remolonee en la convocatoria de elecciones y la ocultación de su tesis me parece un asunto sospechoso del que el tiempo dirá, a corto plazo, si hay algo real o es una tormenta en un vaso de agua. Está claro ¿verdad? La libertad de información no es un derecho del periodista a decir lo que le parezca sino un derecho del ciudadano a recibir información cierta y desde la perspectiva que a ese ciudadano le apetezca. Si el periodista difama, está tan sujeto a la ley como cualquier otro y no puede invocar la libertad de información como si fuera una patente de corso. Si alguien, en este caso un presidente de un Gobierno y con independencia de la opinión que se tenga de él, cree que ha sido difamado por un medio de comunicación está en su perfecto derecho de exigir una rectificación. ¿Quiere llevar el asunto a los tribunales? Adelante; es su derecho aunque sea una jugada arriesgada porque, si pierde, no tendrá manera humana de amarrarse a un sillón al que ha llegado de una forma tan irregular. Desde luego, quien no puede ni debe tratar de impedírselo son los medios de comunicación, alegando libertad de información que, al parecer, consideran sinónimo de libertad para decir lo que les de la gana. Insisto: No defiendo al personaje sino su pleno derecho a acudir a instancias judiciales si cree que ha sido difamado. Si lo ha sido o no, ya lo veremos pero no cabe rasgarse las vestiduras por un atentado a la libertad de información ante el ejercicio de tal derecho. There is a very extended mistake among Aviation professionals: The idea that regulations set a minimum level. Hence, accepting a plane, a procedure or an organization means barely being at the minimum acceptable level. The facts are very different: A single plane able to pass, beyond any kind of reasonable doubt, all the requirements without further questions would not be an “acceptable” plane. It would be an almost perfect product. Then, where is the trick and why things are not so easy as they seem to be? Basically, because rules are not so clear as pretended, giving in some cases wide room for interpretation and because, in their crafting, they are mirroring the systems they speak about and, hence, integration is lost in the way. The acceptance of a new plane is a very long and complex process till the point that some manufacturers give up. For instance, the Chinese COMAC built a first plane certified by Chinese authorities to fly only in China or the French Dassault decided to stop everything jumping directly to the second generation of a plane. It be judged a failure, but it is always better than dragging design problems until they prove that they should have been managed. We cannot avoid to remind cases like the cargo door of DC10 and the consequences of a problem already known during the design phase. The process is so long and expensive that some manufacturers keep attached to very old models with incremental improvements. Boeing 737, that started to fly in 1968, is a good example. Its brother B777, flying since 1995, keeps a very old Intel-80486 processor inside but changing it would be a major change, despite Intel stopped its production in 1997. The process is not linear, and many different tests and negotiations are required in the way. Statements of similarity with other planes are frequent and the use of standards from Engineering or Military fields is common place when something is not fully clear in the main regulation. Of course, some of the guidelines can contradict others since they are addressed to different uses. For instance, a good military regulation very used in Human Factors (MIL-STD-1472) includes a statement about required training, indicating that it should be as short as possible to keep full operating state. That can be justified if we think in environments where lack of resources -including knowledge- or even physical destruction could happen. It should be harder to justify as a rule in passenger’s transportation. Another standard can include a statement about the worst possible scenario for a specific parameter, but the parameter can be more elusive than that. The idea itself of worst possible scenario could be nonsense and, if the manufacturer accepts this and the regulator buys it, a plane could by flying legally but with serious design flaws. Regulations about Human Factors were simply absent a few years ago and HF mentions were added to the technical blocks. That was partially changed when a new rule for planes design appeared addressing precisely Human Factors as a block on its own. However, the first attempts were not much further than collecting all the scattered HF mentions in a single place. Since then, it has been partially corrected in the Acceptable Means of Compliance, but the technical approach still prevails. Very often, manufacturers assemble HF teams with technical specialists in specific systems instead of trying a global and transversal approach. The regulators take their own cautions and repeat mantras like avoiding fatigue levels beyond acceptability or planes that could not require special alertness or special skill levels to manage a situation. These conditions are, of course, good but they should not be enough. Compliance with a general condition like this one, in EASA CS25 “Each pilot compartment and its equipment must allow the minimum flight crew (established under CS 25.1523) to perform their duties without unreasonable concentration or fatigue” is quite difficult to demonstrate. If there is not a visible mistake in the design, trying to meet this condition is more a matter of imagining potential situations than a matter of analysis and, as it should be expected, the whole process is driven by analysis, not by imagination. Now, it is still in the news the fact that a Boeing factory had been attacked by the WannyCry virus and the big question was if it had affected the systems of the B777s that were manufactured there. B787 is said to have 6,5 million of code lines. Even though B777 is far below that number, checking it should not be easy and it should be still harder if computers calculating parameters for the manufacturing must be also checked. That complexity in the product drives not only to invisible faults but to unexpected interactions between theoretically independent events. In some cases, the dependence is clear. Everyone is conscious that an engine stopped can mean hydraulic, electric, pressure and oxygen problems and manufacturers try to design systems pointing to the root problem instead of pointing to every single failure. That’s fine but…what if the interaction is unexpected? What if a secondary problem -like oxygen scarcity, for instance- is more important than the root problem that drove to this? How are we going to define the right training level for operators where there is not a single person who understands the full design? In the technical parts, the complexity is already a problem. When we add the human element, its features and what kind of things are demanded from operators, the answer is everything but easy. Claiming “lack of training” every time that something serious happens and adding a patch to the present training is not enough. A full approach more integrated and less shy to speak about using imagination in the whole process is advisable long ago but now it is a must. Operators do not manage systems. They manage situations and, at doing so, they can use several systems at the same time. Even if there is not an unexpected technical interaction among them, there is a place where this interaction happens: The operator who is working with all of them and the concept of consistency is not enough to deal with it. Muchos individuos y publicaciones muy conocidos tienen sus cuentas y publican regularmente contenidos. Es cierto que 140 caracteres no dan para mucho pero la cosa se pone más interesante si se considera que, dentro de esos 140 caracteres, puede haber vínculos a artículos recién publicados por ellos mismos. 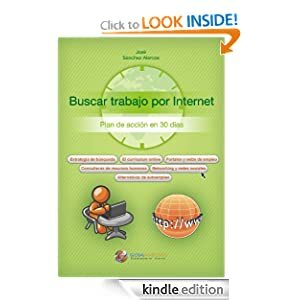 Seguir a mucha gente es enloquecedor porque, a menos que se viva con la nariz pegada a la pantalla, se perderá información pero nuevamente hay una solución: Elíjanse los temas más interesantes y prepárense listas especializadas en esos temas. Una revisión diaria o semanal, según el nivel de actividad, será suficiente y, si se escogen los miembros de las listas con cuidado, se puede mantener uno actualizado sobre cualquier tema imaginable. Ni que decir tiene que se pueden añadir o quitar miembros de las listas. En resumen, hay buenas razones para recomendar a alguien que tenga una cuenta en Twitter: Es un recurso valioso para mantenerse informado casi sobre cualquier tema. Ahora viene la parte más difícil: ¿Cómo debe ser la interacción en Twitter? Mucha gente simplemente se mantiene en silencio. Siguen las fuentes que consideran interesantes y se acabó. Es una buena opción si no hay intención de compartir contenido propio. Puede encontrarse gente que utiliza sus propios nombres mientras otros prefieren no estar identificados, especialmente si tienen intención de participar activamente en discusiones sobre temas que puedan ser controvertidos y ahí precisamente aparece el lado oscuro de Twitter, un lado oscuro muy difícil de separar de la parte positiva. Twitter es muy rapido. Por ello, medios tradicionales como la radio o la televisión lo utilizan como forma de mantener el contacto con sus seguidores y es frecuente ver una línea en televisión con un flujo de mensajes en Twitter. Esto les da a los programas sensación de actualidad y, al mismo tiempo, le da relevancia a Twitter, tanto en sus aspectos positivos como en los negativos. Una vez que Twitter aparece como algo relevante, mucha gente empieza a utilizar la red para sus propios objetivos. Por ejemplo, se utilizan cuentas falsas con bots diseñados para convertir cualquier tema de su elección en trending topic en cuestión de minutos. Cuando se actúa así, por supuesto, la información sobre la relevancia real de un tema está falseada porque hay gente dedicada activamente a esa falsificación y, por añadidura, no se necesita ser un gran experto en redes sociales para ello. Ésta es una parte negativa pero hay algo aún peor: La interacción entre miembros de Twitter es muy animada. 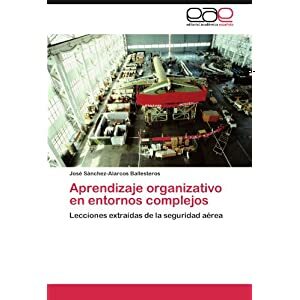 Es fácil identificar grupos -incluso hay aplicaciones que permiten hacerlo automáticamente- y hay una fuerte presión hacia la conformidad dentro de esos grupos. Sus miembros, buscando el aplauso de sus compañeros de grupo, presentan visiones cada vez más extremas sobre cualquier tema controvertido y las discusiones resultantes aparecen en los medios más tradicionales como tendencias confundiendo la caricatura Twitter con la imagen real de una sociedad, imagen que a su vez se ve afectada por la difusión de la caricatura como realidad. Hay muchos ejemplos actuales pero el caso español y su situación política es paradigmático. Tenemos de todo: Bots convirtiendo cualquier cosa en trending topic y gente que va derivando hacia visiones cada vez más extremas en sus posiciones políticas, especialmente si se trata de cuentas no identificadas o se trata de líderes de opinión que no quieren decepcionar a su auditorio. Por añadidura, esto no es un efecto específicamente español sino que, si se sigue la campaña americana, se encuentran exactamente los mismos fenómenos: La velocidad de la interacción y la brevedad de los mensajes, sin mucho espacio para matices, pueden ser los factores determinantes de ese comportamiento. En suma, Twitter es una herramienta valiosa para mantenerse actualizados sobre cualquier tema pero, al mismo tiempo, tiene facetas muy negativas cuya influencia trasciende Twitter. Estar dentro es positivo pero mantenerse activo es algo para pensárselo dos veces. Aceptar las tendencias que marca Twitter como reales es algo que debe evitarse y no sólo porque probablemente sean falsas sino porque, dándoles carta de naturaleza, se puede contribuir a que se conviertan en reales aunque originalmente no lo fueran. Quizás todos tenemos una tarea de evitar que eso ocurra porque, debido a la presión hacia la conformidad, suele ocurrir que la posición ganadora se le llevan precisamente las más impresentables tendencias y comentarios…sin distinción de adscripción ideológica o de cualquier otro tipo. La banda de la porra en Twitter ¿Son sólo bots? Hace sólo unos días se publicó con pruebas irrefutables como los chicos del nazipopulismo utilizaban bots, es decir, un montón de cuentas falsas de Twitter que transmitían los mismos mensajes al mismo tiempo. Estas cuentas son utilizadas para difundir los hashtags con las consignas del momento y convertirlas en el trending topic de turno. Hace unos días, una persona empieza a seguir mi cuenta de Twitter. Me sorprende que tiene miles de seguidores y sus mensajes son absolutamente inocuos sin que pueda encontrarse ninguno con la menor relación con la política. Hoy me encuentro con otra persona que empieza a seguir mi cuenta. El perfil es idéntico; tiene miles de seguidores y los mensajes no sólo son inocuos: SON LOS MISMOS. Naturalmente, la cosa huele mal y bloqueo a las dos. ¿Alguna idea?¿Son spammers o hay otro objetivo? Política española: ¿Una salida digna para casi todos? El PSOE puede conseguir gobernar y, además, distanciarse de Podemos y evitar ser fagocitado ya o en unas elecciones que se convoquen porque nadie consiga la investidura. Ciudadanos, después del patinazo de la campaña, puede aparecer como quien ha logrado el gran acuerdo y, de paso, como los más razonables y los más centrados. Por añadidura, tendrían la función de vigilar al gobierno resultante en el cumplimiento de los compromisos establecidos. En caso de incumplimiento, el PP siempre podría prestar su apoyo a una moción de censura. El PP…puede hacer una jugada maestra: Abstenerse pero a cambio de algo: Que el PSOE retire inmediatamente su apoyo a los gobiernos municipales y autonómicos que le ha regalado a Podemos. En algunos casos podría significar que algunos de esos gobiernos volverían al PP y, además, el PSOE escenificaría más el distanciamiento reduciendo el riesgo. ¿Quiénes serían los perjudicados? Podemos, que está apostando a unas nuevas elecciones porque las encuestas les auguran subida de escaños y los nacionalistas, que tendrían mucho más difícil el chantaje. Es así de fácil. Falla sólo una cosa: Rajoy. Como en la película de Amenábar, está muerto pero no lo sabe y, como le ocurrió a Stalin, nadie se atreve a decírselo dentro de su partido. And one of them, Airbus, is celebrating its birthday. Years ago, three major players were sharing the market but, once McDonnell Douglas disappeared, big planes were made by one of them. Of course, we should not forget Antonov, whose 225 model is still the biggest plane in the world, some huge Tupolev and Lockheed Tristar but the first ones never went out of their home markets while Lockheed Tristar could be seen as a failed experiment from the manufacturer. 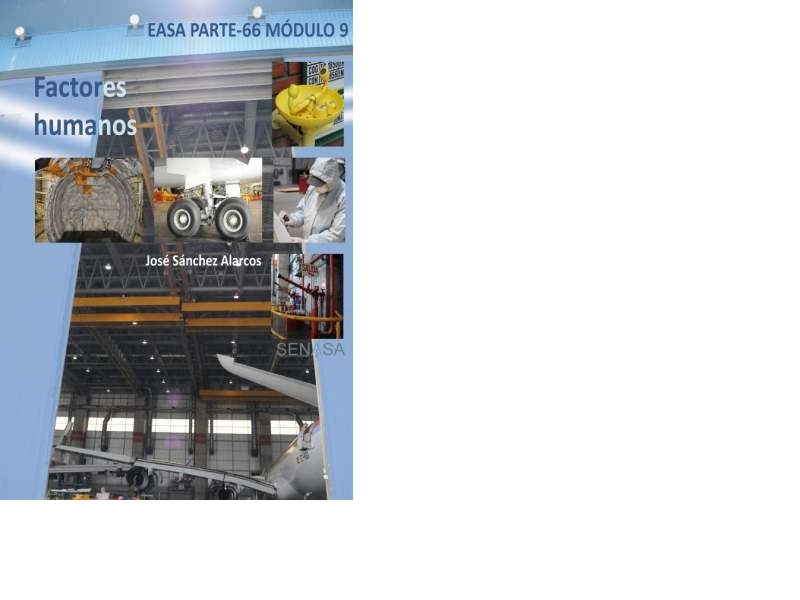 Airbus emphasizes its milestones in the timeline but, behind these, there is a flow marked by efficiency through I.T. use. Airbus was the first civilian planes manufacturer having a big plane with a cockpit for only two people (A-310) and Airbus was the first civilian plane manufacturer to introduce widely fly-by-wire technology (the only previous exception was the Concorde). Finally, Airbus introduced the commonality concept allowing pilots from a model to switch very fast to a different model keeping the rating for both. Boeing had a more conservative position: B757 and B767 appeared with only two people in the cockpit after being redesigned to compete with A-310. Despite the higher experience of Boeing in military aviation and, hence, in fly-by-wire technology, Boeing deferred for a long time the decision to include it in civilian planes and, finally, where Boeing lost the efficiency battle was when it appeared with a portfolio whose products were mainly unrelated while Airbus was immerse in its commonality model. The only point where Boeing arrived before was in the use of twin planes for transoceanic flights through the ETOPS policy. Paradoxically the ones in the worst position were the two American companies that were manufacturing three engine planes, McDonnell Douglas and Lockheed instead of Airbus. That was the exception because, usually, Boeing was behind in the efficiency field. Probably -and this is my personal bet- they try to build a family starting with B787. This plane should be for Boeing the A320 equivalent, that is, the starter of a new generation sharing many features. Little-size Aviation is much more crowded and, right now, we have two new incomers from Russia and China (Sukhoi and Comac) including the possibility of an agreement among them to fight for the big planes market. Anyway, that is still in the future. Big Aviation is still a game of two contenders and every single step in that game has been driven by efficiency. Some of us would like understability -in normal and abnormal conditions- to be among the priorities in future designs, whatever they come from the present contenders or from any newcomer. If we ask anyone what a hacker is, we could get answers going from cyberpiracy, cyberdelincuency, cybersecurity…and any other cyberthing. However, it’s much more than that. Hackers are classified depending of the “color of their hats”. White hat hacker means individual devoted to security, black hat hacker means cybercriminal and grey hat hacker means something in the middle. That can be interesting as a matter of curiosity but…what do they have in common? 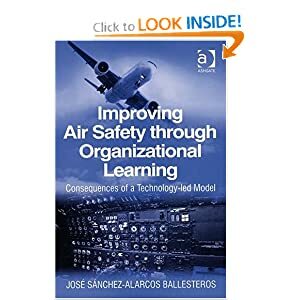 Furthermore, what do they have in common that can be relevant for Air Safety? Simonyi, the creator of WYSIWYG, warned long ago about an abstraction scale that was adding more and more steps. Speaking about Information Technology, that means that programmers don’t program a machine. They instruct a program to make a program to be run by a machine. Higher programming levels mean longer distance from the real thing and more steps between the human action and the machine action. Of course, Simonyi warned of this as a potential problem while he was speaking about Information Technology but…Information Technology is now ubiquitous and this problem can be found anywhere including, of course, Aviation. We could say that any IT-intensive system has different layers and the number of layers defines how advanced the system is. So far so good, if we assume that there is a perfect correspondance between layers, that is, every layer is a symbolic representation of the former one and that representation should be perfect. That should be all…but it isn’t. Every information layer that we put over the real thing is not a perfect copy -it should be nonsense- but, instead, it tries to improve something in safety, efficiency or, very often, it claims to be improving both. However, avoiding flaws in that process is something that is almost impossible. That is the point where problems start and when hacker-type knowledge and frame of mind should be highly desirable for a pilot. The symbolic nature of IT-based systems makes its flaws to be hard to diagnose since their behavior can be very different to mechanic or electric systems. Hackers, good or bad, try to identify these flaws, that is, they are very conscious of this symbolic layer approach instead of assuming an enhanced but perfect representation of the reality below. From cinema: The movie “A beautiful mind”, devoted to John Nash and showing his mental health problems shows at a moment how and why he was able to control these problems: He was confusing reality and fiction until a moment where he found something that did not fit. It happened to be a little girl that, after many years, continued being a little girl instead of an adult woman. That gave him the clue to know which part of his life was created by his own brain. From Air Safety: A reflection taken from the book “QF32” by Richard de Crespigny: Engine 4 was mounted to our extreme right. The fuselage separated Engine 4 from Engines 1 and 2. So how could shrapnel pass over or under the fuselage, then travel all that way and damage Engine 4? The answer is clear. It can’t. However, once arrived there, a finding appears crystal-clear: Information coming from the plane is not trustable because in any of the IT-layers the correspondance reality-representation has been lost. Detecting these problems is not easy. It implies much more than operating knowledge and, at the same time, we know that nobody has full knowledge about the whole system but only partial knowledge. That partial knowledge should be enough to define key indicators -as it happens in the mentioned examples- to know when we work with information that should not be trusted. First, hackers look actively for information. They don’t go to formal courses expecting the information to be given. Instead, they look for resources allowing them to increase their knowledge level. Then, applying this model to Aviation should suppose a wide access to information sources beyond the information provided in formal courses. Second, hackers training is more similar to military training than academic training, that is, they fight to intrude or to defend a system and they show their skills by opposing an active enemy. To replay a model such as this, simulators should include situations that trainers can imagine. Then, the design should be much more flexible and, instead of simulators behaving as a plane is supposed to do, they should have room to include potential situations coming from information misrepresentation or from situations coming from automatic answers to defective sensors. Asking for a full knowledge of all the information layers and their potential pitfalls can be utopic since nobody has that kind of knowledge, including designers and engineers. Everybody has a partial knowledge. Then, how can we do our best with this partial knowledge? Looking for a different frame of mind in involved people -mainly pilots- and providing the information and training resources that allow that frame of mind to be created and developed. That could mean a fully new training model.